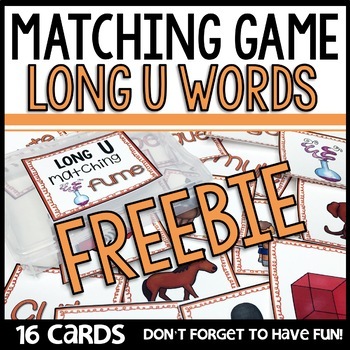 This is a freebie of Long U matching cards. ★SCHOOL DISTRICTS TPT offers PO sales! Here's the LINK to read all about it! 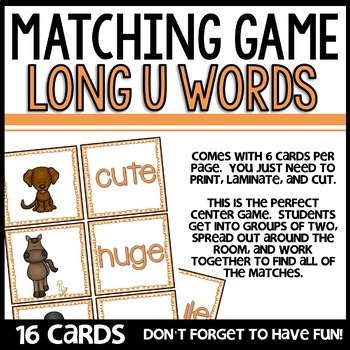 Thanks TPT for making this easy for schools. 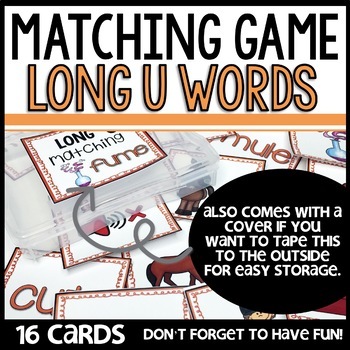 If you need to contact me for a preview of one of my bundles, please email me at scjuneau@yahoo.com. ★LET'S CONNECT I would love to connect with you! ★CUSTOMER TIPS: How to get TPT credit ($$$) to use on future purchases: • Please go to your My Purchases page (you may need to login). Beside each purchase you'll see a Provide Feedback button. Simply click it and you will be taken to a page where you can give a quick rating and leave a short comment for the product. I value your feedback greatly as it helps me determine which products are most valuable for your classroom so I can create more for you. Be the first to know about my new discounts, freebies and product launches: • Look for the STAR near the top of any page within my store and click it to become a follower. You will now receive customized email updates about my store. ••••••••••••••••••••••••••••••••••••••••••••••••••••••••••••••••••••••••••••★THANK YOU FOR CHECKING OUT MY LITTLE STORE!